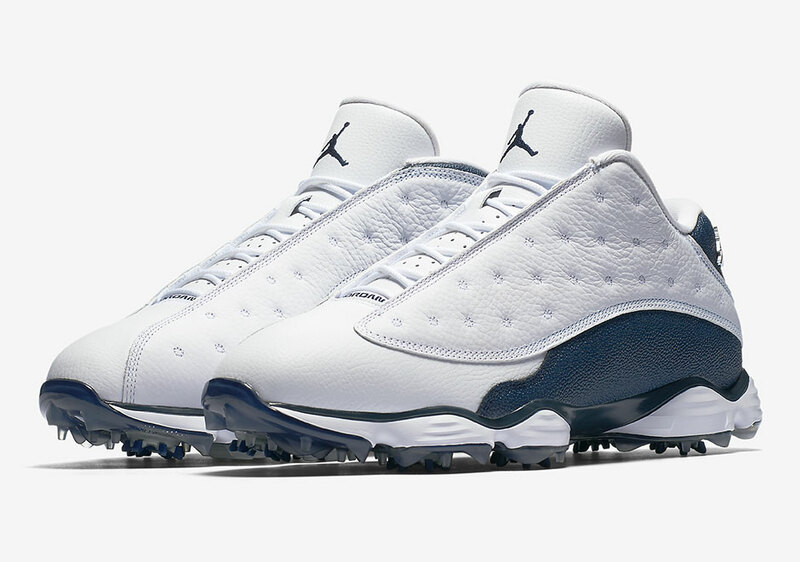 Updated on August 15th, 2017: The Air Jordan 13 Low Golf “White/Midnight Navy” releases on Friday, August 18th, 2017 for $200. 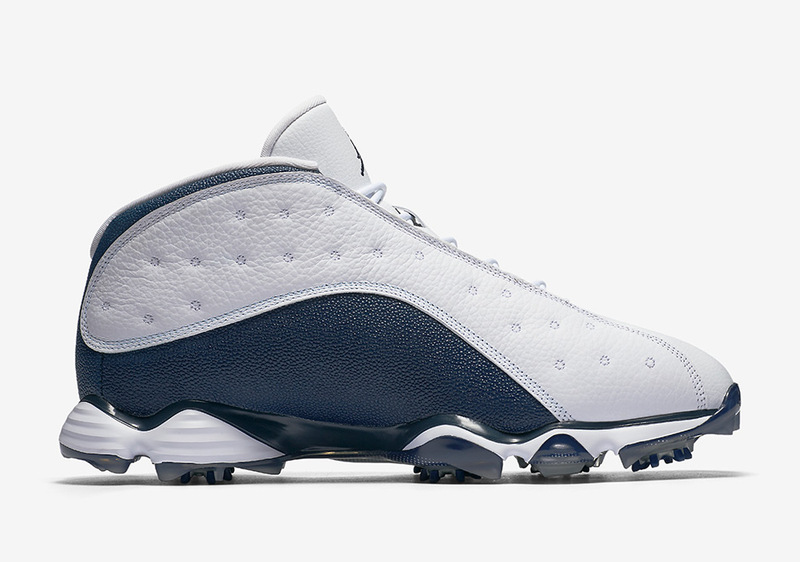 Update: The Air Jordan 13 Low Golf has been pushed back until August 25th in the US. 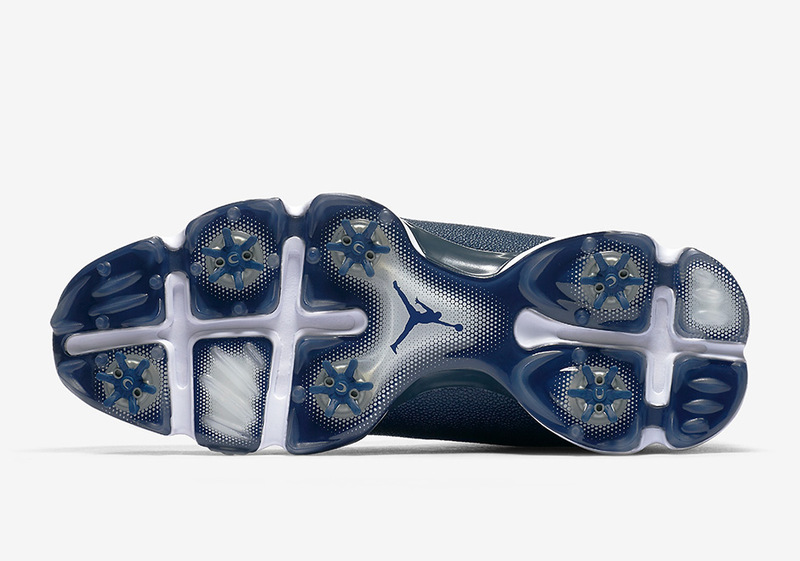 It’s no secret that Michael Jordan is one of the world’s most competitive people, and it goes far beyond the hoops world. 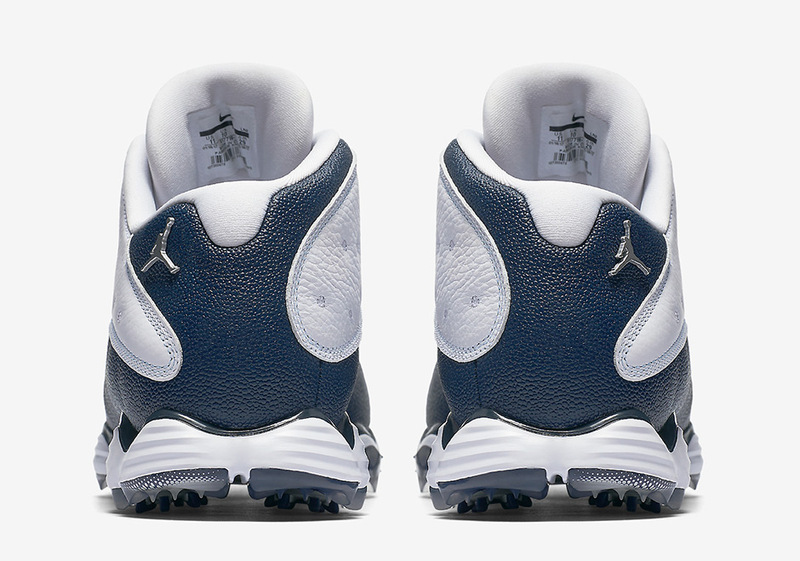 Mike still spends his free time golfing, and it’s awesome to see the Jumpman branch out into new territories with Jason Day surprising everyone by rocking the Air Jordan 1 Golf during the British Open Championship. 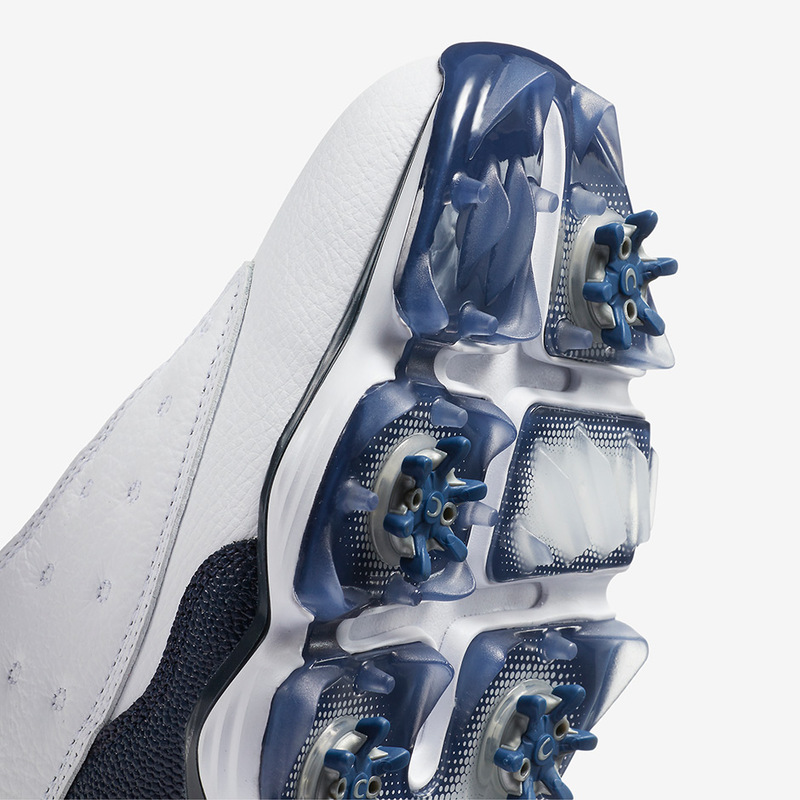 Mike’s iconic first signature model isn’t the only pair that’s received a golf themed makeover either, as the Jordan 13 Low has benefited from some new traction and materials earlier this year. 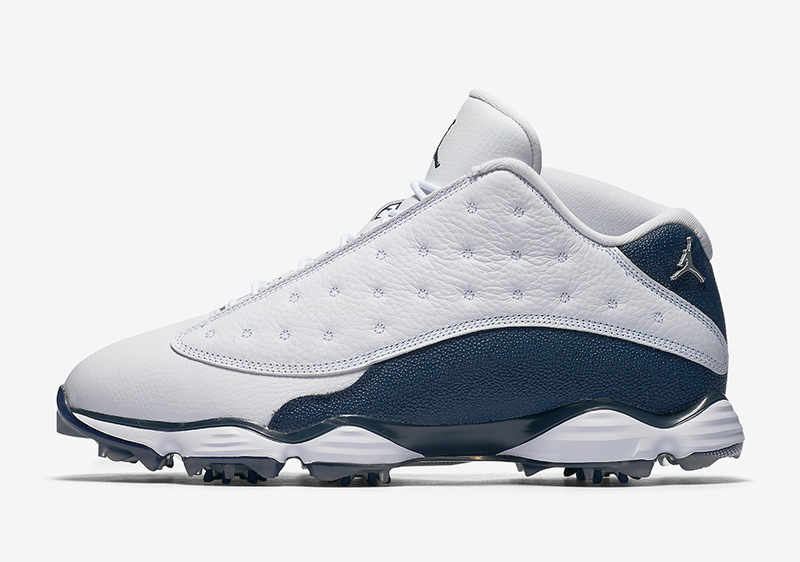 Now the Jordan 13 Low Golf is back featuring a premium pebbled leather update in Midnight Navy set to release in the near future. 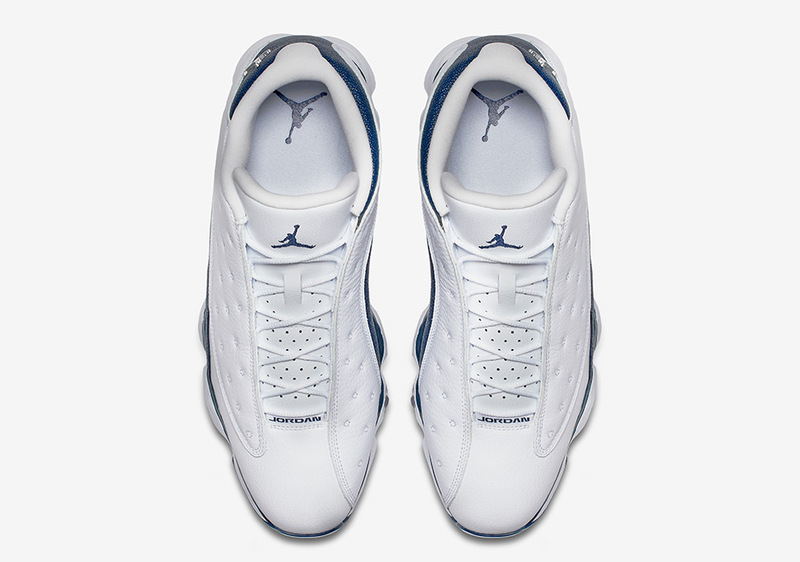 There’s no word yet on a Release Date, but stay tuned for more info to come right here on Sneaker News.